Liczba stron: 138 Jest to ujednolicona liczba stron, która ułatwi Ci porównanie długości książek. Każda strona Legimi to 200 słów. “Curioser and curioser!” Alice's adventures have made her the stuff of legend, the child heroine par excellence, and ensured that Carroll's book is the best loved and most widely read in children's literature. 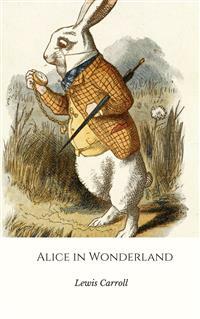 This new digital edition of Alice's Adventures In Wonderland includes two audio links to different free unabridged recordings of the book, a look at the history of Alice In Wonderland movies and an image gallery showcasing the best Alice illustrations culled from over a century of editions (including Lewis Carroll’s own sketches for Alice taken from the type-written manuscript of Alice In Wonderland).